Algonquin Young Readers, 9781616204983, 272pp. That’s the question eleven-year-old Prudence Potts discovers on a baffling card no one else in Middleton--except ABE, a new kid at school with a knack for solving riddles--seems to see. Then a mysterious man asks for ABE and Pru’s help investigating mythical beings infiltrating the town, and that’s just the first of many things Pru finds hard to believe. Adam Shaughnessy is an author and educator. He received his BA in English from Connecticut College and is currently pursuing his MA in children’s literature from Hollins University. Adam lives in Waterford, Connecticut. 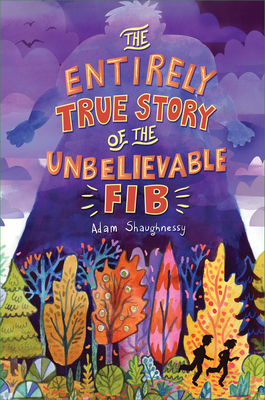 The Entirely True Story of the Unbelievable FIB is his first novel.